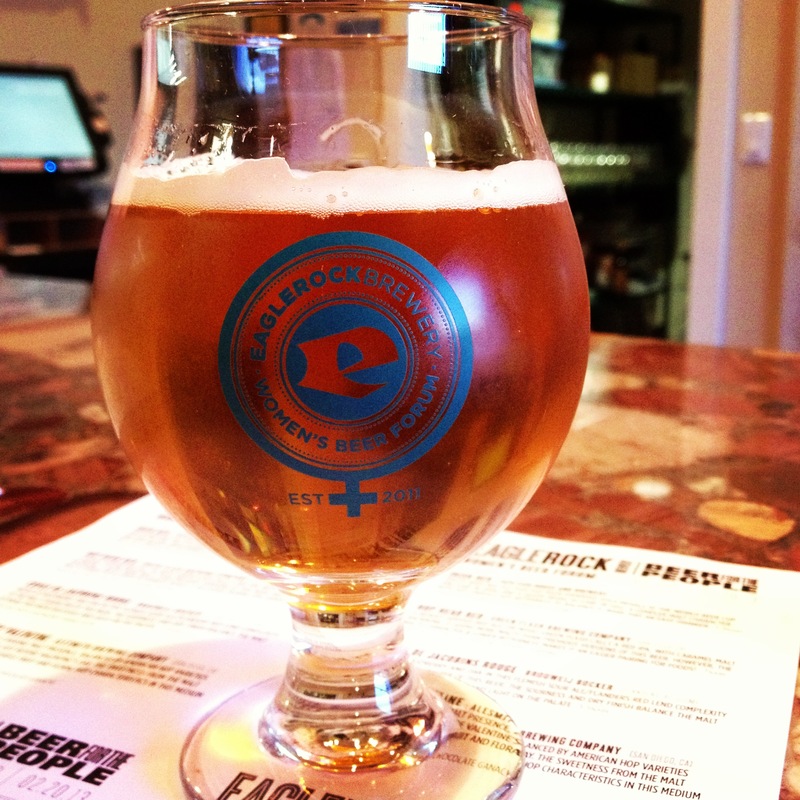 Women’s Beer Forum: Breast Cancer Awareness Month! This month’s women’s forum will be an extra special one because we’ll be teaming up with Keep A Breast Foundation to raise some funds for breast cancer awareness. We’ll have our friends from Craftsman Brewing, Angel City Brewery, Goose Island Brewing, The Bruery, Pizza Port Solana Beach, and Ladyface Ales bringing out some special beers. But wait – there’s more! We’ve got some special edition women’s forum glasses that you’ll get to take home with you. The event will be on Wednesday 10/16/13 from 7p-9p. The cost will be $22 and includes some super special beers made by some of your favorite ladies in the beer industry, hang time with these amazing ladies, a flight sheet, a commemorative glass, and bragging rights that you spent the evening drinking for a cause (Because yes, for each of your pretty faces in attendance, I’ll be kicking some cash money over to Keep A Breast Foundation to support women’s health.)! Worried about how much beer there will be? Have no fear, becauseJoe’s Pizza Truck will be there with some amazing eats to help soak up some of that beer. Also, Sweet E’s Bakery Truck will also be around to tempt your sweet tooth with some “pink-inspired” treats and will also be donating a portion of their proceeds to Keep a Breast! What are you waiting for? RSVP soon! Women’s Beer Forum: 2 year anniversary! How time flies! We’ve completed 2 years of monthly women’s forums and we’re celebrating with a good ol’ fashioned pizza party… but better! First, we’ve created our very own Women’s Forum glassware! Better yet, a portion of the proceeds from sales of these glasses will be donated to the National Ovarian Cancer Coalition (NOCC) to promote Women’s Health. The cool teal logo on the glass symbolizes our support of the cause and we’ll continue to donate all year round, so spread the word! Now about the flight to celebrate this momentous occasion… Devon Randall, the head brewer at Pizza Port’s Solana Beach location is coming out to celebrate with us. And it only makes sense that we taste a flight of the AWESOME beers that she makes. Keep in mind that you typically have to go out to Pizza Port to get these beers, but Devon’s bringing them to us! Yay!! Since this beer is meant to be enjoyed with pizza, the Urban Oven Pizza Truck will be at the brewery to make sure that we get the full beer and pizza experience. So be sure to come hungry and thirsty! The price for the forum will be $16 and will include an exclusive flight of beers, a flight sheet, a chance to meet Devon, and some QT with all your favorite ladies. Need more convincing?? To celebrate the anniversary (and for this month only), you’ll get to keep the newly-designed glass (a portion of the proceeds will still be donated to NOCC)! When is this PAR-TAY goin down? We’ll keep with tradition and it’ll be on the third Wednesday of the month, 3/20/13 from 7p-9p. Well, what are you waiting for? Get it on your calendar and RSVP! Hope to see y’all there! Can’t get enough of Valentine’s Day? Does the thought of Valentine’s Day make you wanna vomit? Or does it just make you wanna drink heavily? Either way, this month’s forum will be lots of FUN because it’ll be all about RED beers paired with delicious sweets! Chelsea Lundy from The Sugar’d Flour (and The Angry Shrimp Truck) knows her sweets and will be baking up some delicious treats to pair with each of the reds in the flight. Did your mama teach you to have a proper meal before moving onto dessert? Fear not, Mandoline Grill will be here to help you out!